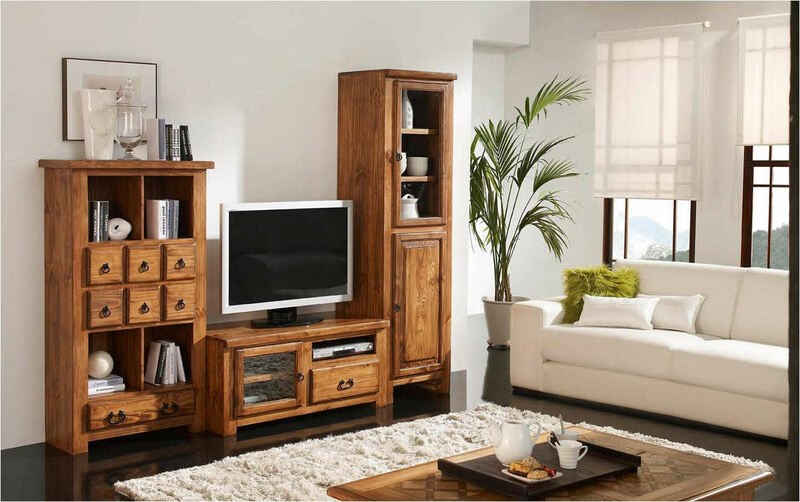 Great, versatile budget entertainment center includes three units sold and shown together. A perfect space saver, organizer and show piece with beautiful smooth wood. Works well together with with rustic decoration elements, or in more modern condos, where it adds warmth and texture due to the polish of the medium stain wood. You can also order it in dark chocolate stain for an even more contemporary look. Click photo for a great full-screen view of this value package. Shown here with our marble tiled coffee table.